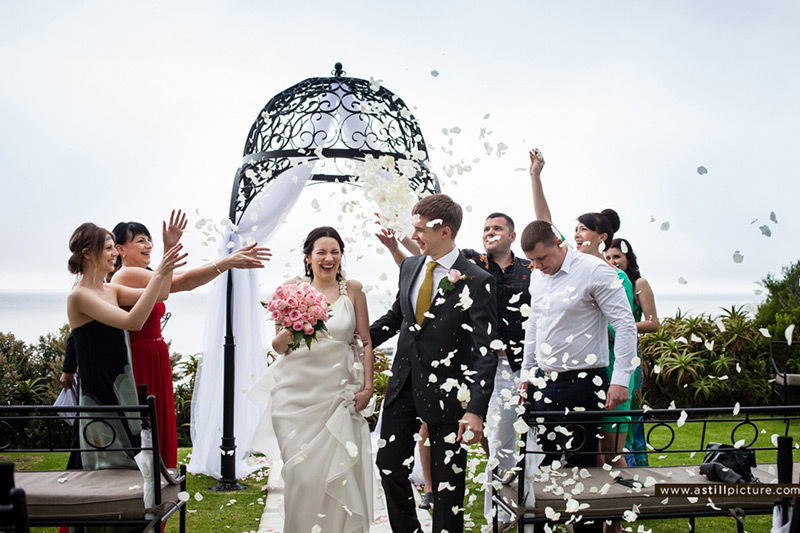 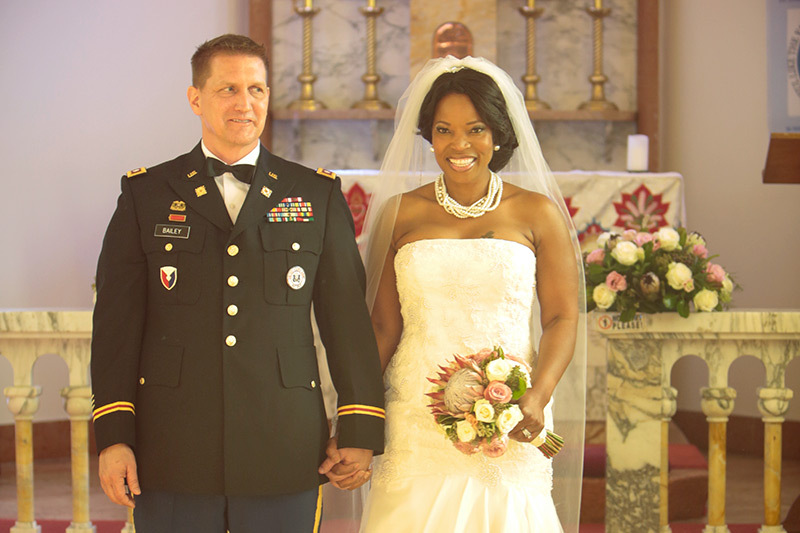 Weddings Abroad | Individually tailored wedding experience. 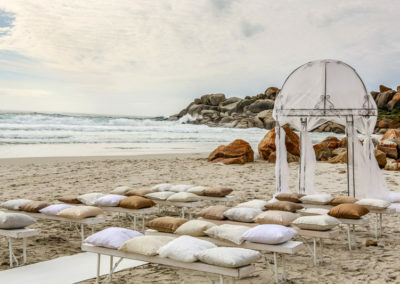 Cape Town has some of the best beaches in the world to offer, so if you’re a sand-and-sea lover be sure to take some time out to relax and soak up the sun. 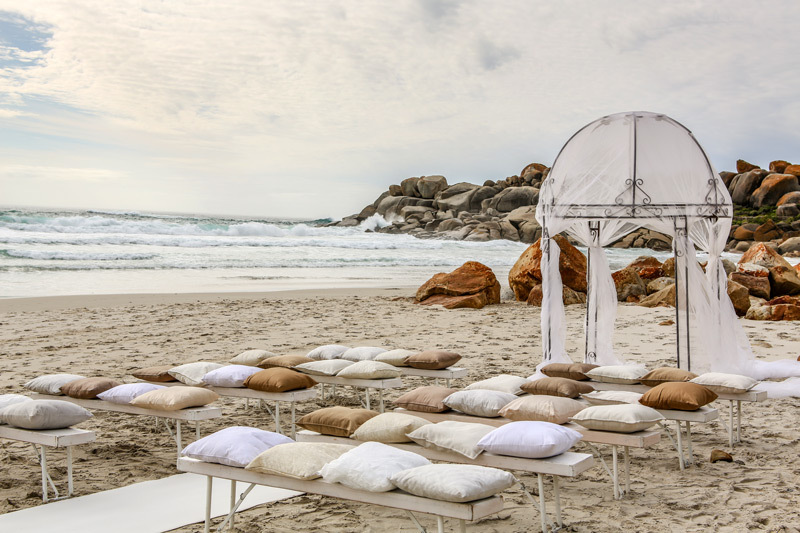 From the family beaches on the False Bay coastline to the trendy Clifton beaches on the Atlantic Seaboard – you’re sure to find a stretch of sand that suits your style. 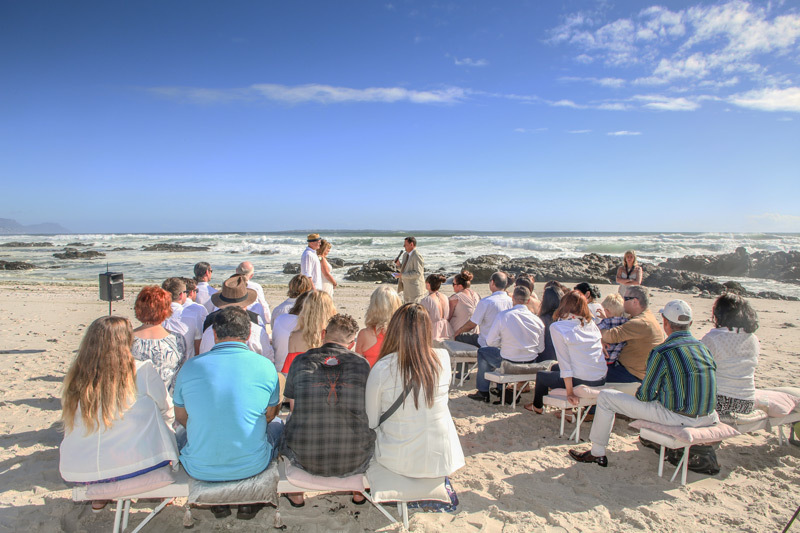 The beaches of Camps Bay, Clifton and Llandudno that dot the Atlantic Seaboard are white and sandy offering beautiful views and spectacular sunsets. 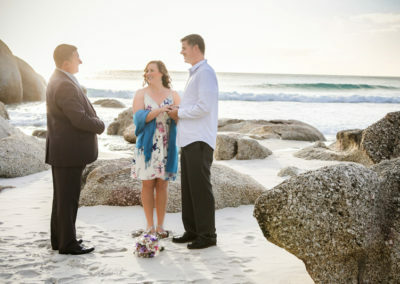 Although the water is very chilly, on a hot summer day it does make for a refreshing dip. 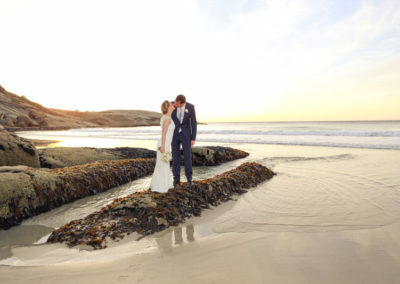 These are generally the more ‘trendy’ beaches where many locals spend their weekends. 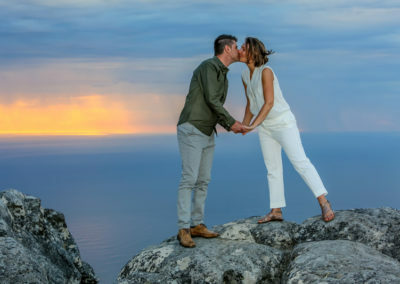 The False Bay coastline is generally quieter and more laid-back than the trendy Atlantic beaches, but in peak-season these beaches too are very busy with holidaymakers. The water in the bay is much warmer and the shallow waters extend quite far making for safe and enjoyable swimming. 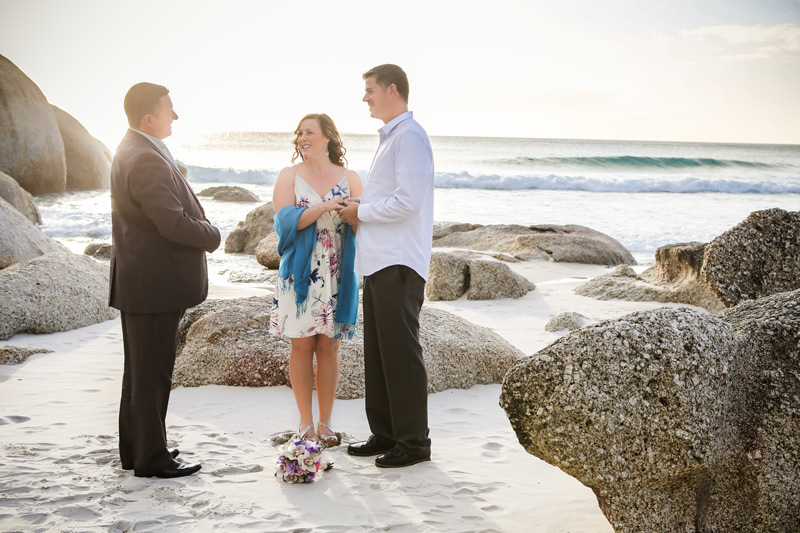 The Cape Town Beach Wedding option can take place at a number of small beaches on the Cape Peninsula.We would decide the best option for you based on where you stay, but Llandudno, Long Beach (Kommetjie) Horn Bay Beach (Camps Bay) and Windmill Beach (near Simonstown) are our favourites! 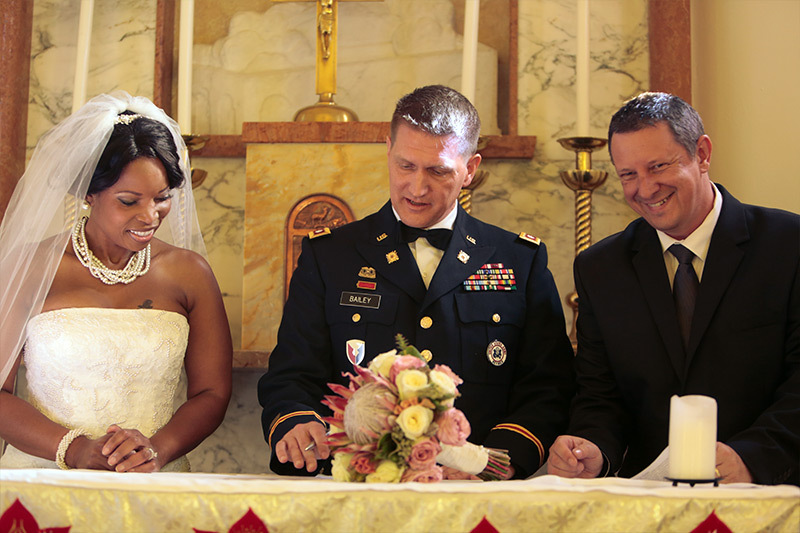 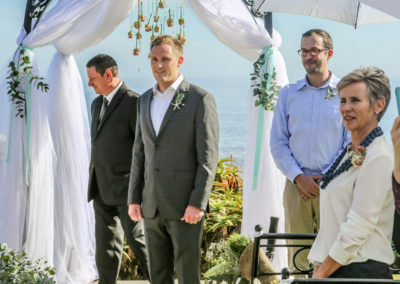 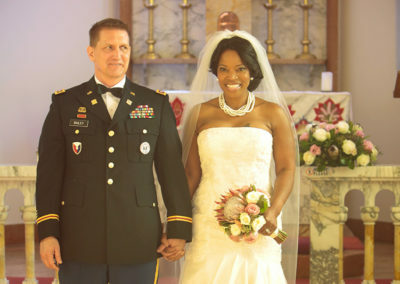 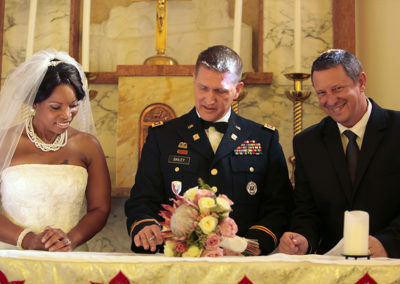 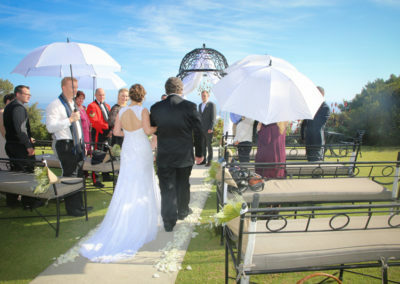 I would recommend that the ceremony take place in the late afternoon so that the sunlight is not too harsh. 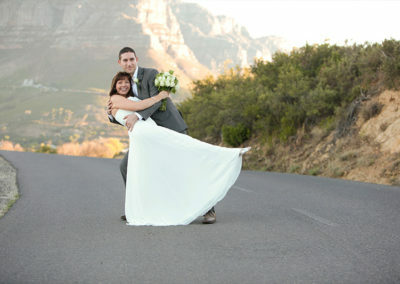 This is the very best time for the best photography. Cape Point is one of the greatest landmarks in the world: a wild and scenically spectacular area at the tip of the Cape Peninsula and African continent. 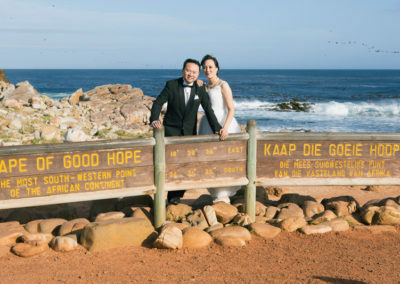 Cape Point is situated in the Cape Peninsula National Park and brown and white bontebok antelopes, dawdling tortoises and dashing ostriches can be seen on a drive through the pristine nature reserve. 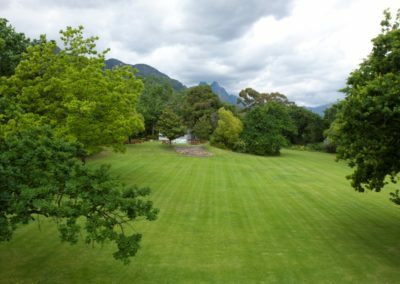 The flora too deserves your attention with 2 200 species of plants including giant headed Protea bushes flowering in winter and pretty little Ericas which you will not see anywhere else on earth. 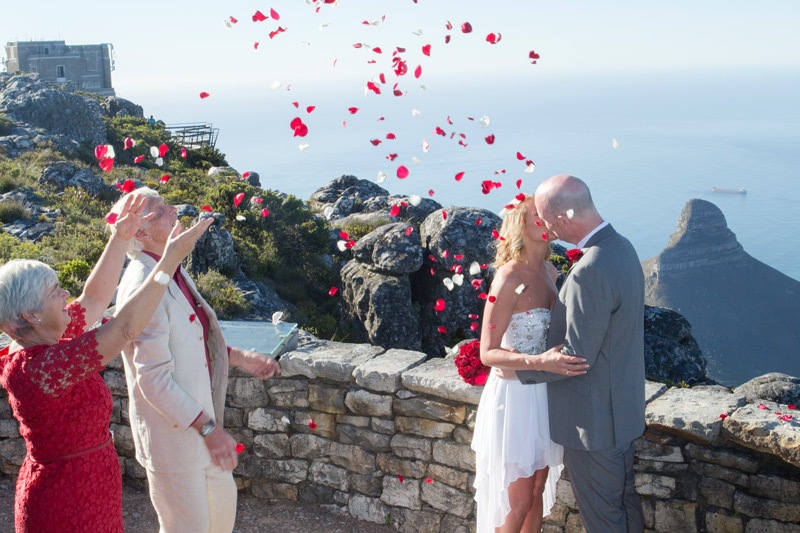 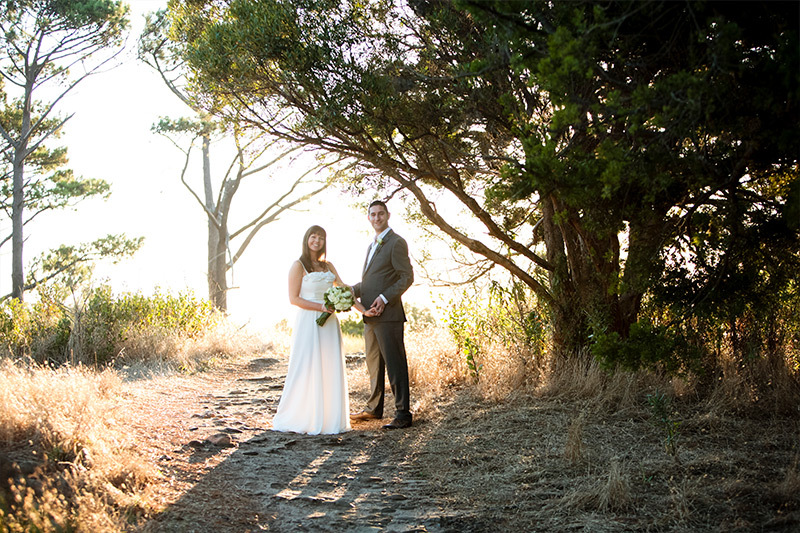 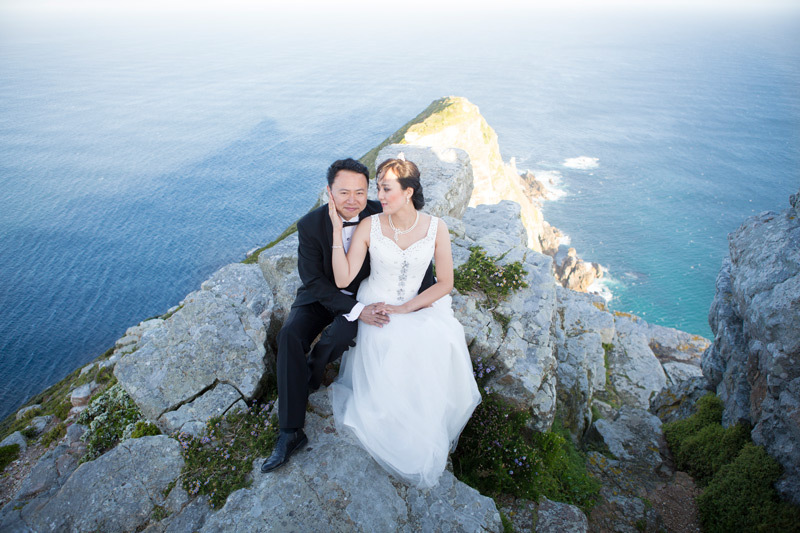 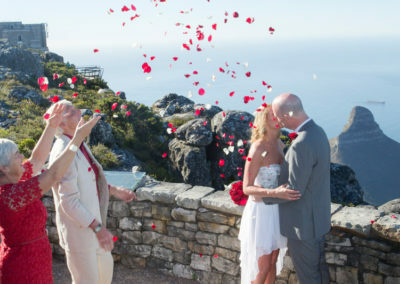 As a wedding venue, Cape Point offers stunning views of the Peninsula from the viewpoint. 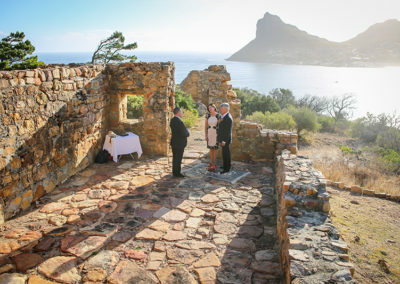 The whole area is surrounded by sea and mountains. 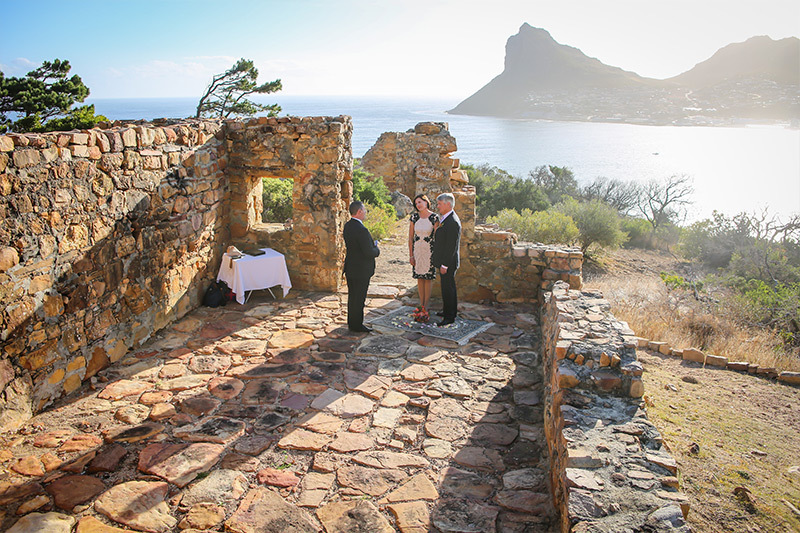 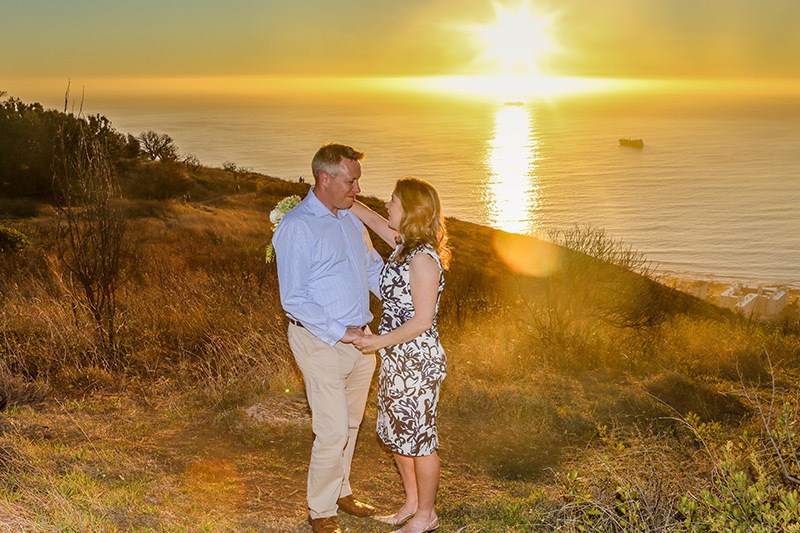 The perfect place for the most memorable wedding photographs with backdrops of the Atlantic Ocean and False Bay coastline. 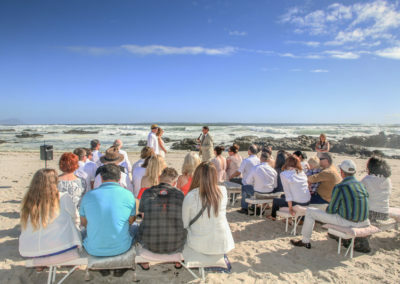 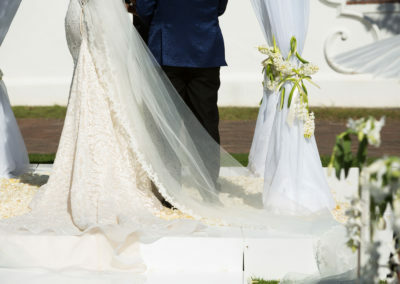 If stunning sea and sunset views, and getting married at the very Southern tip of the African Continent , makes you wedding dreams come true then this is the venue for you. 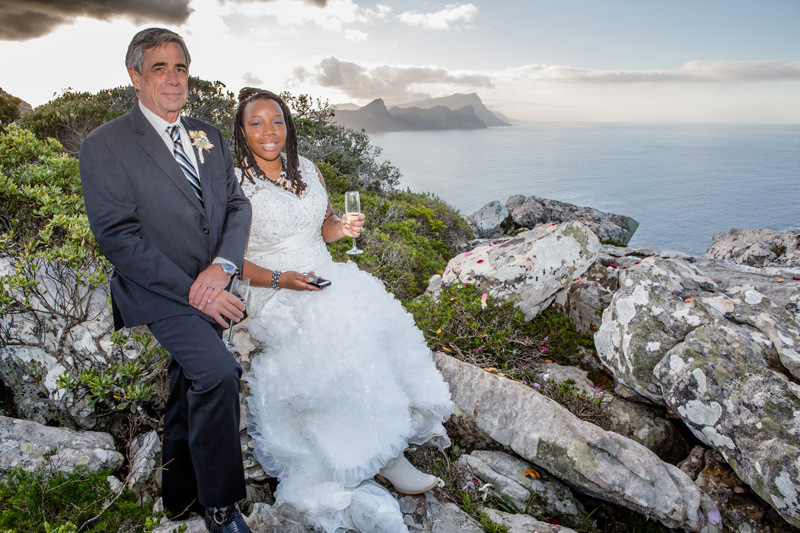 Cape Town’s most famous landmark and one of the seven wonders of nature. 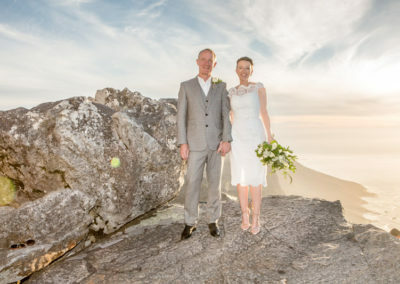 During the day you may see the characteristic “tablecloth” of cloud which flows over the top of the mountain like steam overflowing a giant pot. At night in Summer, you will see the face of the mountain illuminated by a bank of five lights. From the summit there are the most stunning views – of the narrow finger of land running down to Cape Point in the south, of blue hazed mountains of the hinterland, the flanking Devil’s Peak and Lion’s Head sentinels on either side, the Ocean all around, and the city and its harbour far below. 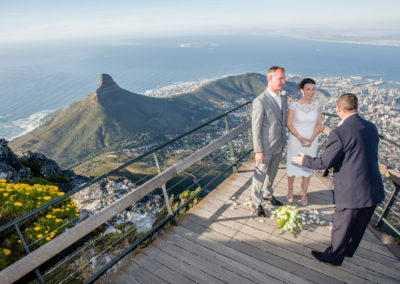 If height is no problem and a once in a lifetime memory of Cape Town is what you are wanting then Table Mountain is the venue for you. 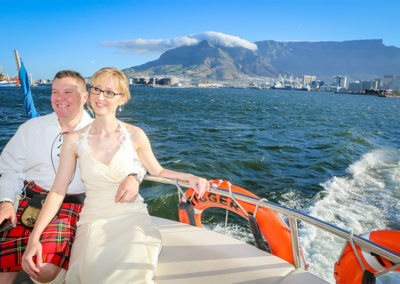 Table Mountain as a venue is best between the months of October – May. 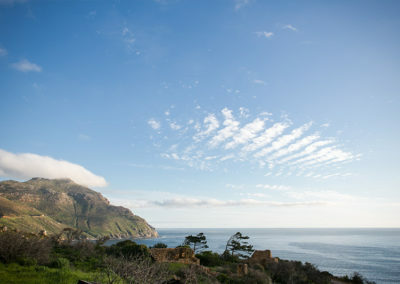 Chapman’s Peak Drive winds it way between Noordhoek and Hout Bay. 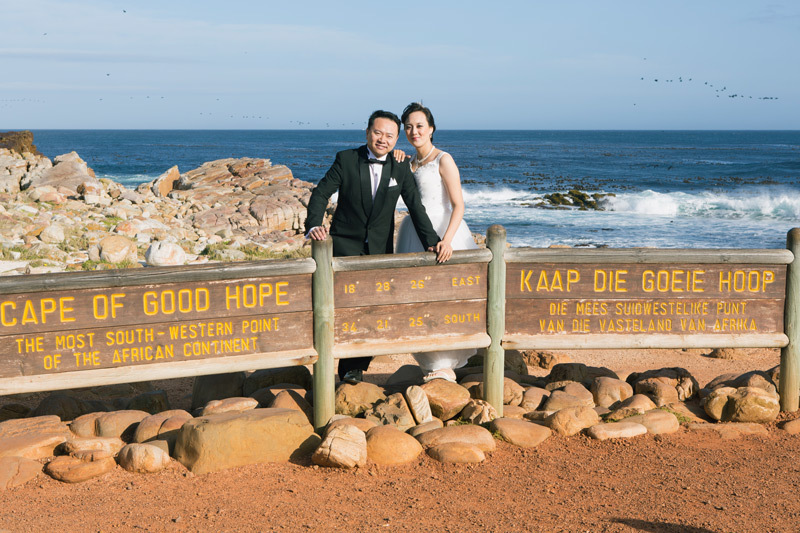 Situated on the Atlantic Coast, at the south-western tip of South Africa, it is one of the most spectacular marine drives anywhere in the world. 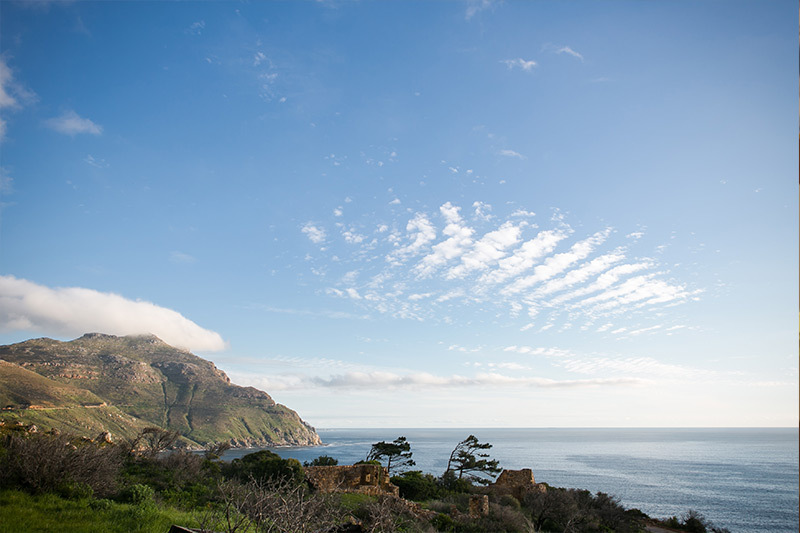 he 9km route, with its 114 curves, skirts the rocky coastline of Chapman’s Peak, the 593m high southerly extension of Constantia Berg. The drive offers stunning 180° views with many areas along the route where you can stop and take in the scenery or sit down for a relaxing picnic. 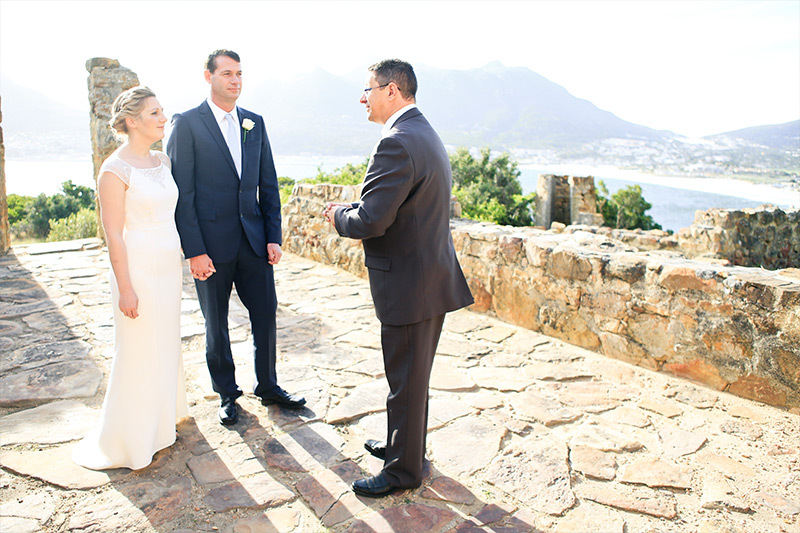 This wedding location is situated along the mountainside with spectacular views of the Atlantic seaboard with stunning sunsets all year round. 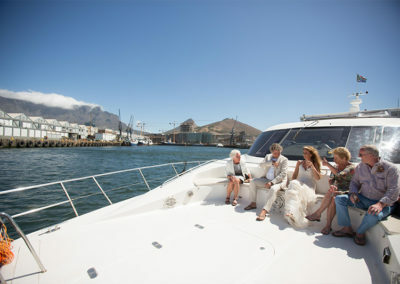 ‘Spirit of the Cape’ is the privately owned luxury yacht available for exclusive use of Cape Grace guests. 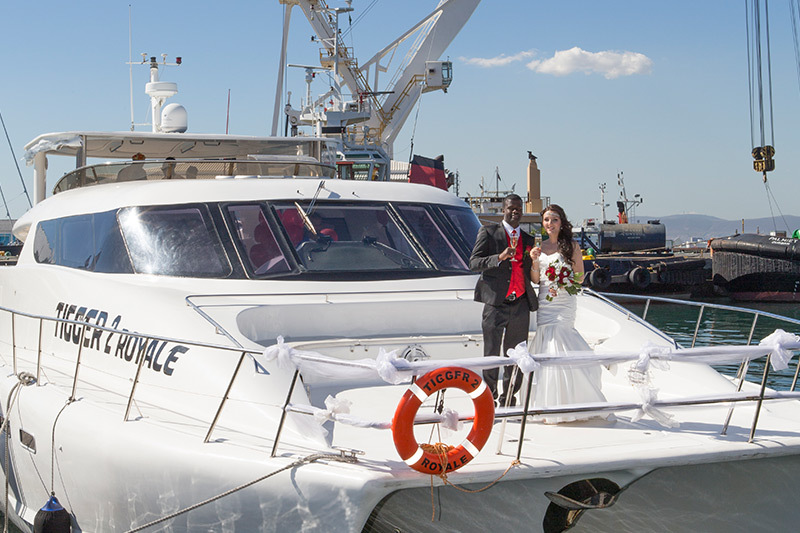 Italian made, with sleek styling, sophisticated interiors and an elegant silhouette, this 56 foot Aicon luxury motor yacht opens a world of possibilities to your stay at Cape Grace. 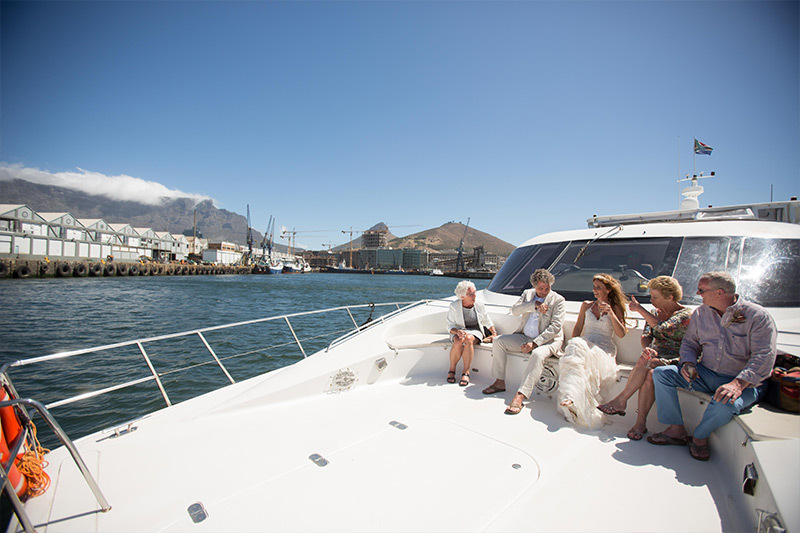 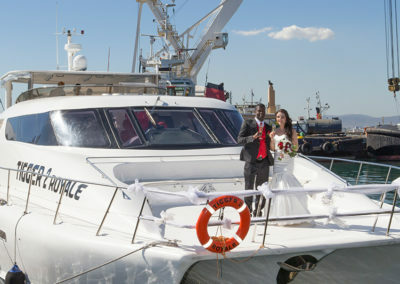 Berthed in the cosmopolitan yacht marina and moored up alongside Cape Grace, hotel guests have private access to the ‘Spirit of the Cape’ and can choose from a range of Cape Town yacht cruises. 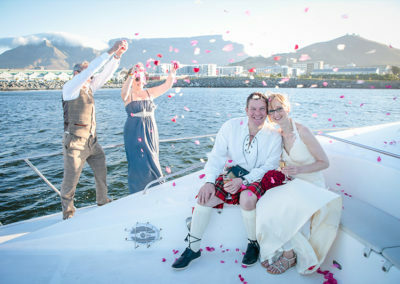 A yacht charter in Cape Town reveals aspects of this beautiful coastline unseen from land. 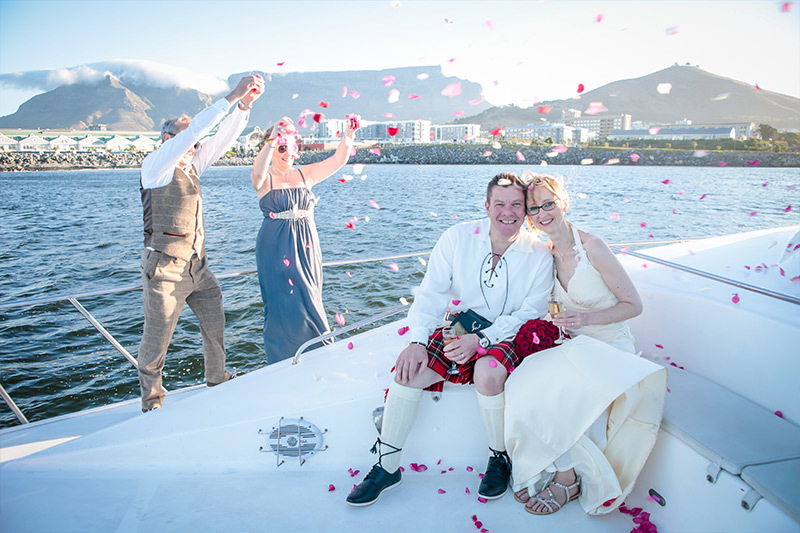 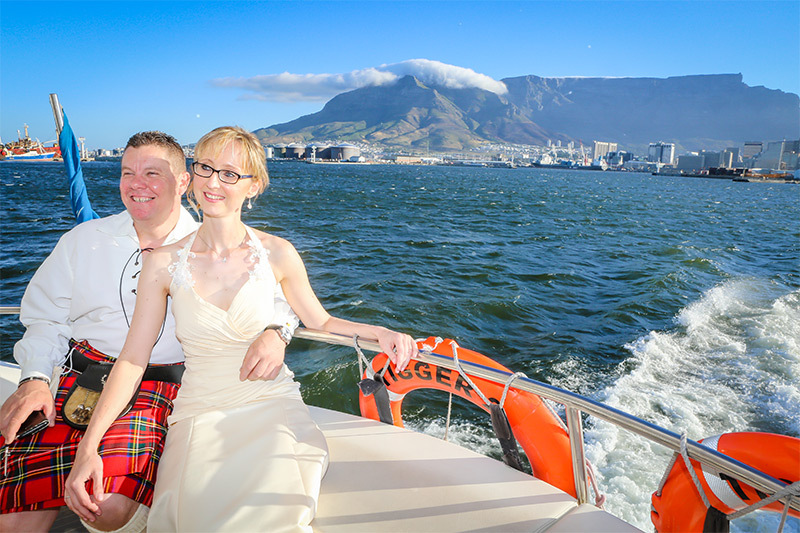 Cruise slowly to the outskirts of the harbour and this is where the ceremony will take place with Table Mountain as your backdrop. 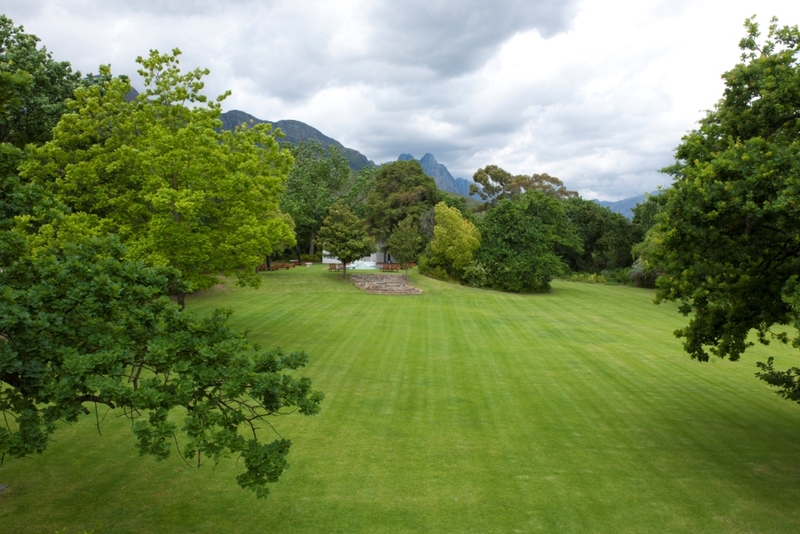 This beautiful lawn with its backdrop of the historical Rhone homestead and the Groot Drakenstein Mountain is a wonderful setting for a wedding.The Rhone homestead with its kitchen and bathroom facilities is available for use when hiring the lawn. 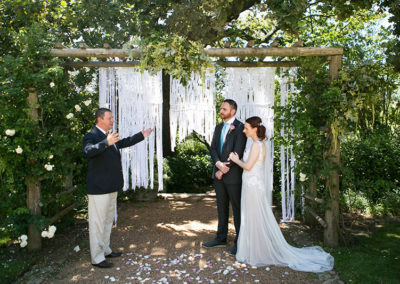 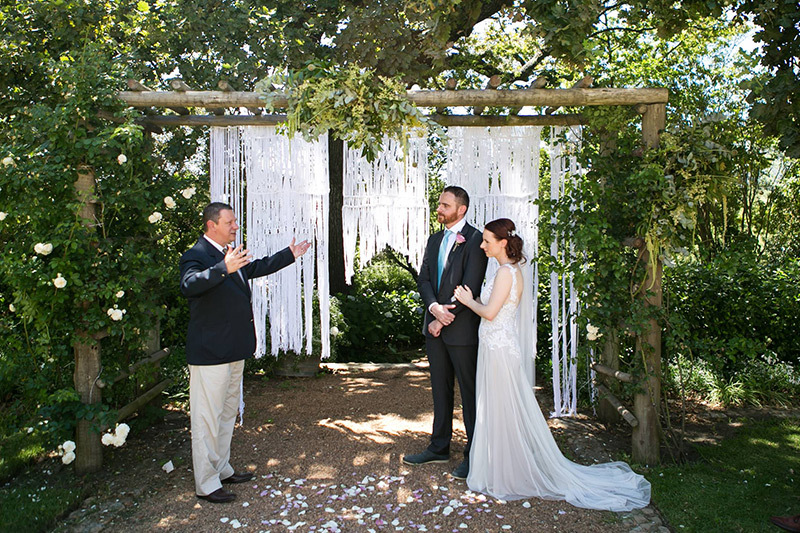 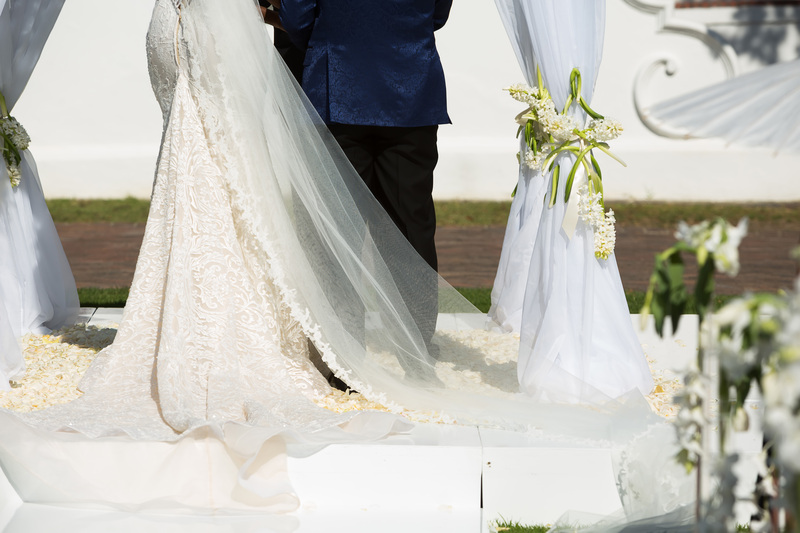 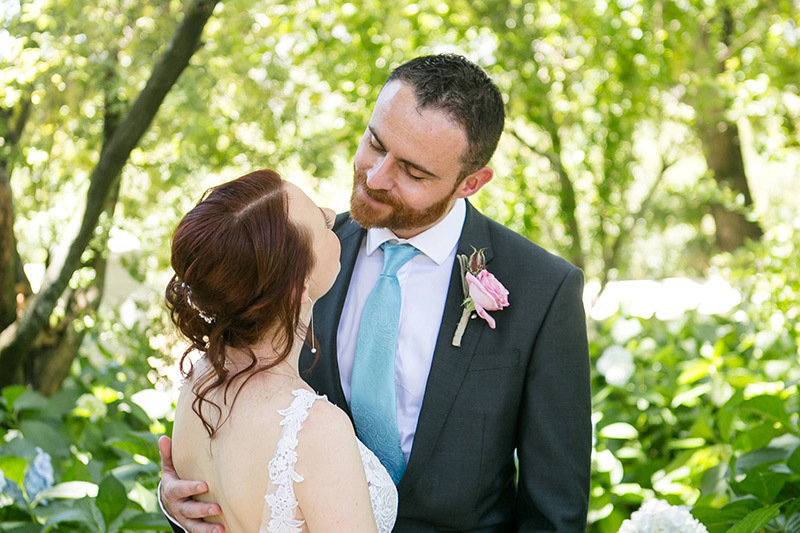 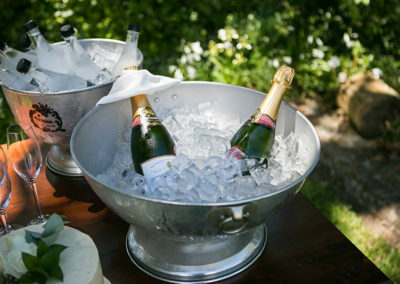 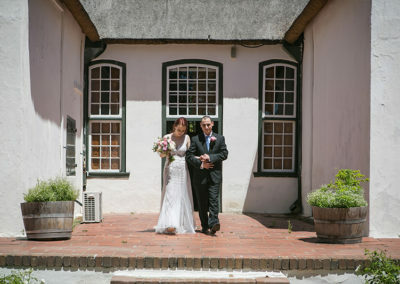 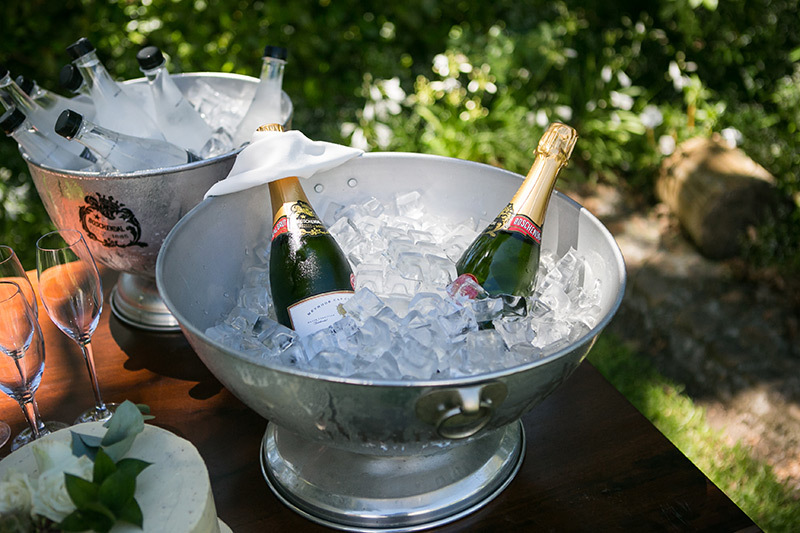 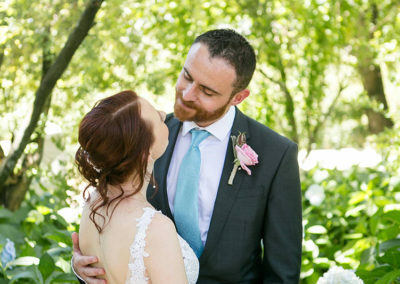 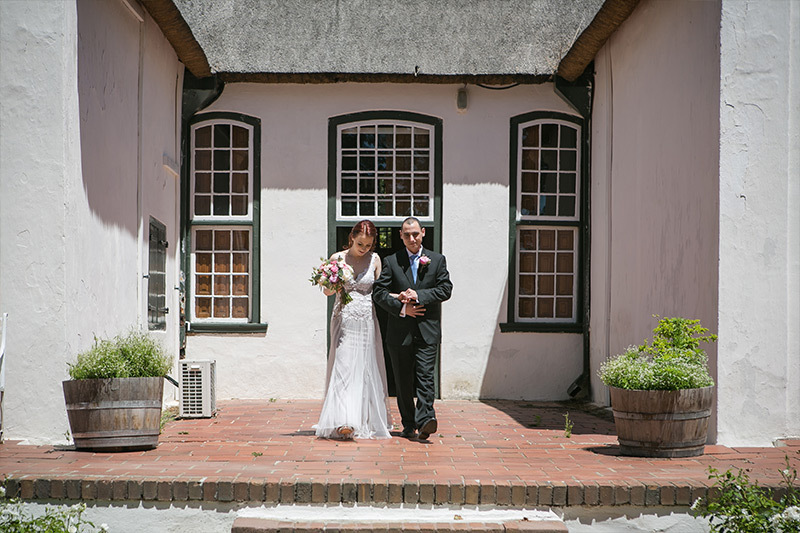 Boschendal provides an idyllic setting for any occasion – They cater for small or large groups, providing a world class venue and facilities that will make your occasion unforgettable. 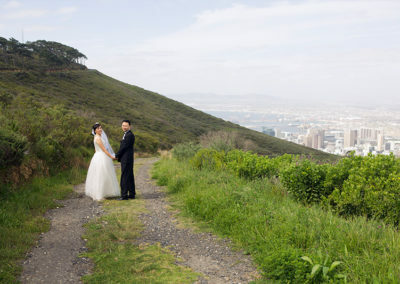 Signal Hill, which connects Kloof Nek to Lion’s Head, in the distinctive shape of a lion’s rump, is one of the most famous spots in Cape Town for sundowners. 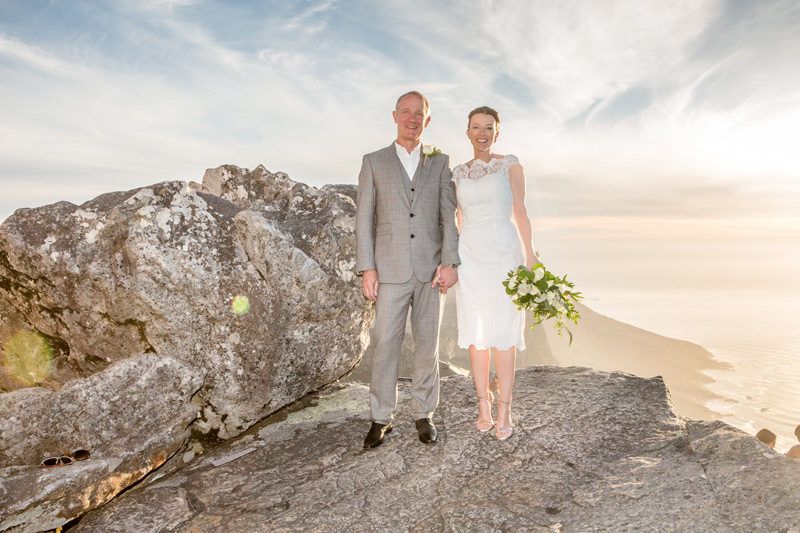 Views from the 350m high summit are nothing short of spectacular, particularly at night, and picnic dinners with accompanying drinks is something of a capital pastime. 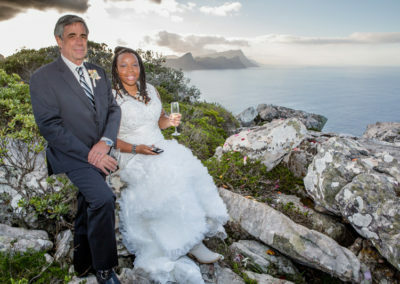 In the evenings Signal Hill is a little like ‘lovers lane’ – popular with couples who are up there to enjoy the lights and the romance of the Table Mountain backdrop, particularly during summer when Table Mountain is lit at night. 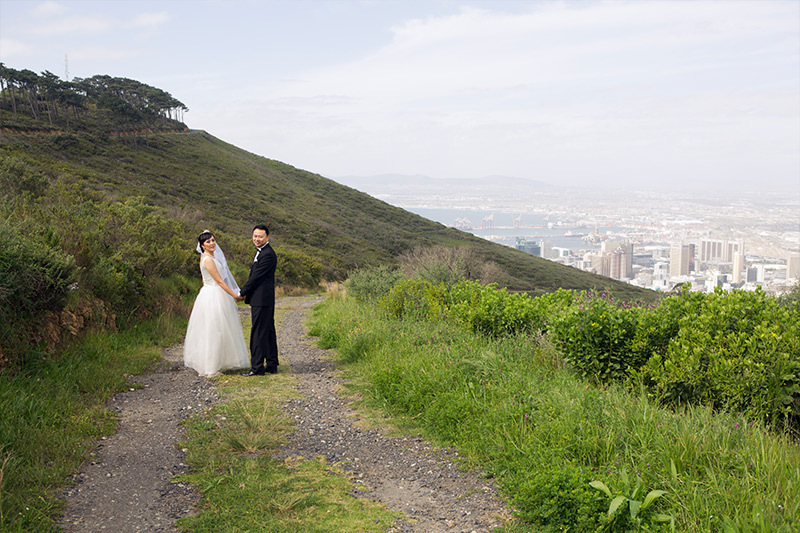 Signal Hill separates the City bowl from the suburb Sea Point of, and its name is indicative of its function as the site for the noon gun, which is fired every day, a little lower than the viewpoint on Signal Hill, at Lion Battery. 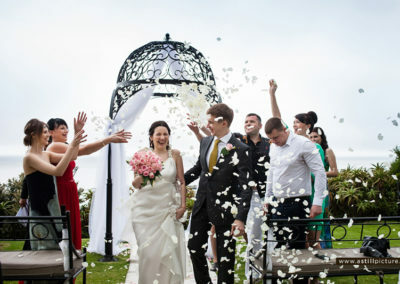 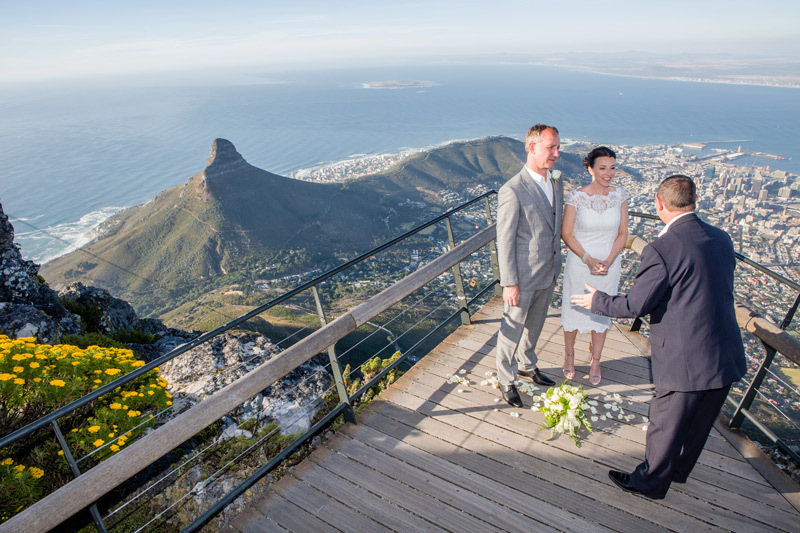 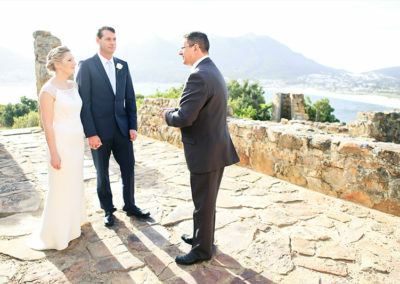 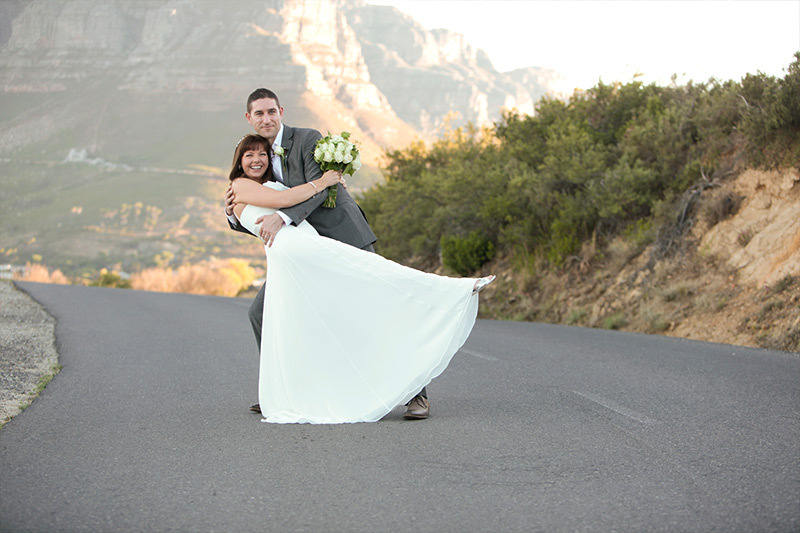 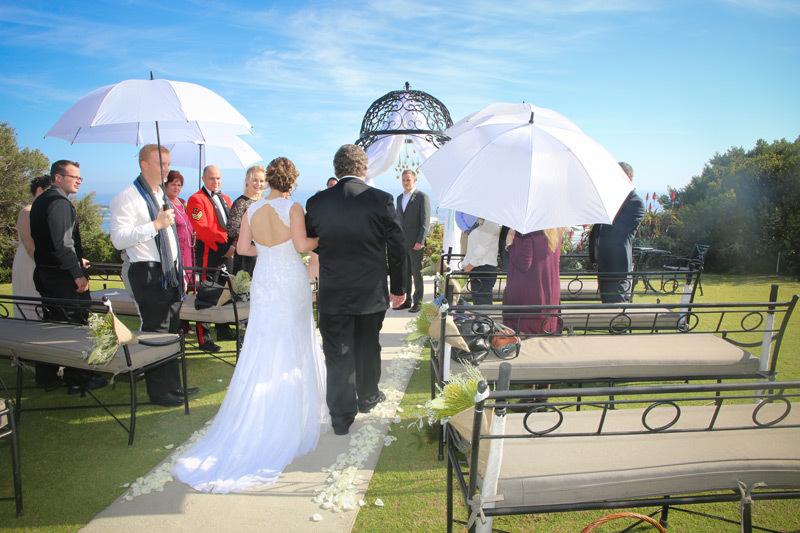 This location is a wonderful spot if you wish to have the famous Table Mountain as your backdrop during your vows. 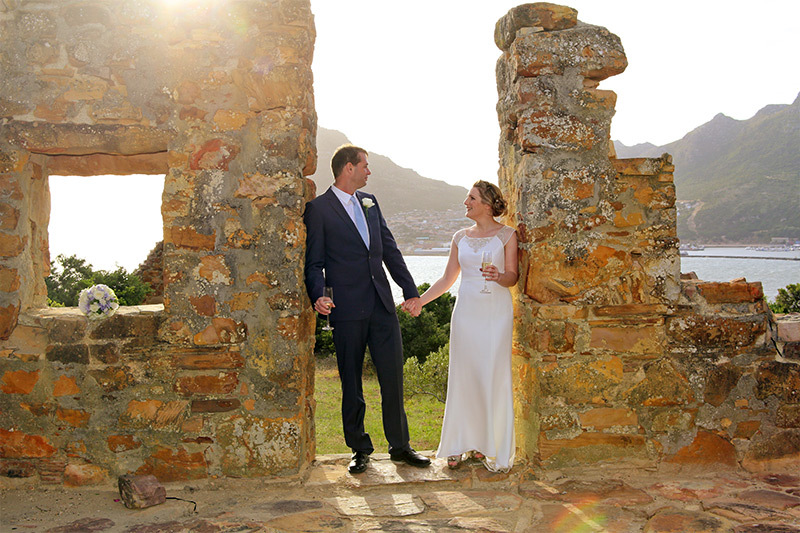 Views of the sea and the newly built stadium and harbour make this a perfect city setting. 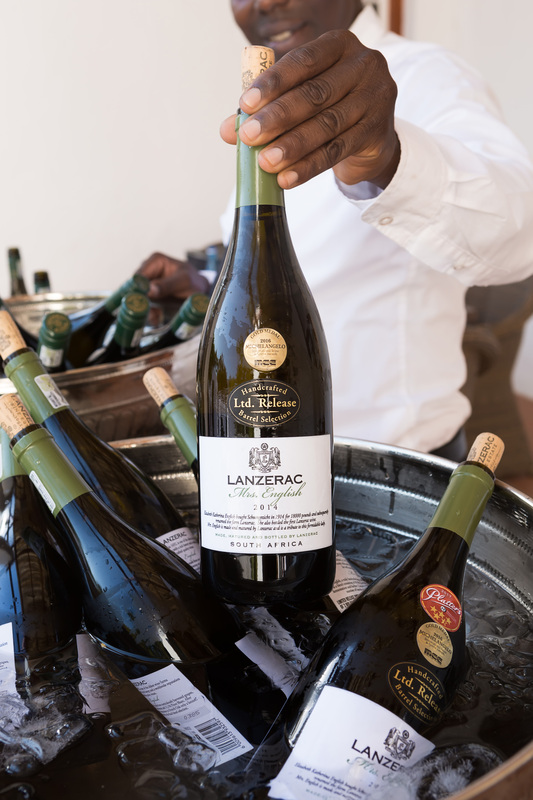 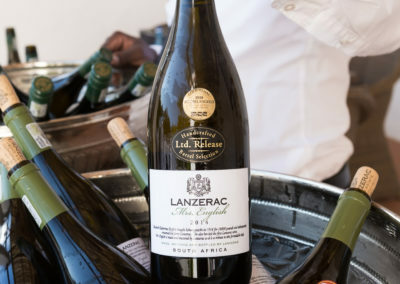 As you enter the Lanzerac Wine Estate through its majestic Oak-lined driveway, you can almost feel time slow down and history settle around you. 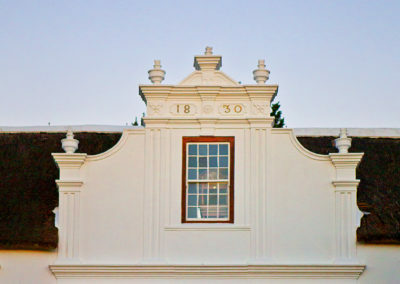 With 326 years behind its name, this Stellenbosch landmark boasts an old-world charm that is an unrivalled drawcard for day visitors and hotel guests alike. 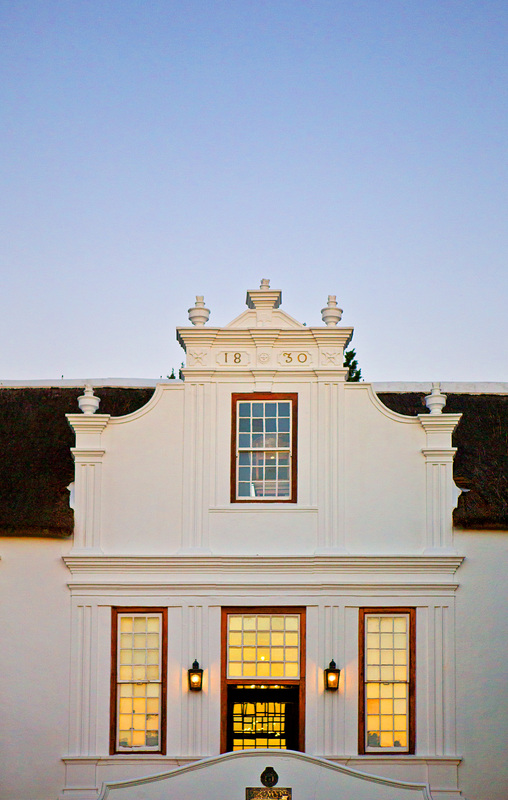 And now, thanks to an extensive refurbishment, the elegant Estate can lay claim to the best of both worlds – contemporary, sophisticated facilities, coupled with rich, Cape heritage.